Services By E-TOWN KITCHENS & BATHS, INC.
Revive and remodel the look of your kitchen and bath through E-TOWN KITCHENS & BATHS, INC. in Elizabethtown, KY. We provide cabinets and countertops that will fit your budget and we also provide you computerized designs of the finished products so you will know what to expect from our designers. We use only the finest materials along with our trusted knowledge for creating storage solutions for your home. For Estimates And Other Inquiries – Call Us! 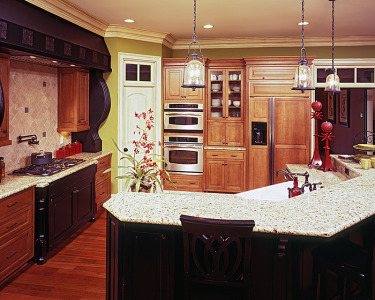 contact E-TOWN KITCHENS & BATHS, INC. in Elizabethtown, KY. Our staff will gladly talk to you and schedule a visit to your home to start working on your cabinets and countertops. We value customer service and make sure that our clients are our priority.